Perfect Paper - Everything about the design of your invitation may be beautiful, but if the paper looks cheap, nothing else matters. Select a kit that uses high quality, cover weight paper. Using beautiful paper will make your colors appear more vivid, your printing appear more powerful, and your entire invitation feel more luxurious. Don't skimp here! It's worth a little extra money for your invitations to look and feel exquisite. 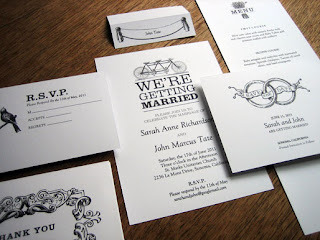 Available Add-ons - Most kits include an invitation, an RSVP card, and envelopes for both. This is enough for a lot of couples, but what if you need something extra? A direction card? A reception card? A little card that directs guests to your web site? When selecting your DIY wedding invitation kit, look for one that comes with everything you need or has coordinating extras available for purchase. Computer Compatibility - With so many home printers in so many homes, it's important for you to make sure the wedding invitation kit you purchase is compatible with yours. On top of that, if you're not comfortable with formatting documents, you'll have to find a kit that comes with a template that works on your computer. Does your printer adjust to fit several sizes of paper? Will it feed thicker paper through without gobbling it up? Do you have Microsoft Word? Then you're probably safe to buy most kits on the market. If you answered "no" to any of those questions, you'll need to do a little extra research to find a kit that works with your computer and printer. 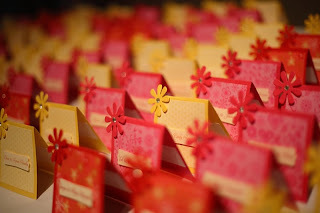 There's a wealth of wedding invitation kits available at every price point. With all the options out there, if you keep these tips in mind, I'm confident you'll find the perfect kit to make your DIY wedding invitations stunning and memorable!